ProSafe-RS is Yokogawa's IEC61508 and ANSI/ISA 84 compliant safety system. It has been used in over 2,400 projects, ranging from large scale integrated process automation projects to stand-alone solutions. Yokogawa's ProSafe-RS safety systems are built with competence, life cycle support and long term sustainability. Yokogawa puts an end to DCS-SIS incompatibility with the ProSafe-RS, the world’s first truly integrated "safety PLC" for the process industries. Achieving absolute integrity between distributed control system (DCS) and safety instrumented system (SIS) for plant automation has traditionally raised complex design and integration issues. Conventionally, two separate monitoring and operating environments were required for a DCS and SIS. Different communications and distinctive hardware architectures had to be set up. Plant managers striving to optimize process operations have taken it as a given that project time and expenses would escalate. ProSafe-RS was released in February 2nd 2005. It can be fully integrated with CENTUM series integrated production control systems, and is certified for use in SIL3 applications. Since its release, ProSafe-RS has been implemented in more than 2,400 projects around the world. In February 2015, Yokogawa was awarded the Japan Techno-Economics Society's President's Award. Yokogawa’s control system virtualization platform enables a single server to perform the work of multiple virtual PCs, thus reducing the number of PCs required to configure a control system. With this platform, both the hardware and software required to build a virtual environment are provided. By means of this virtualized server environment, it is possible to separately update and make modifications to hardware and software as required. ProSafe-RS R4.04 is compatible with Windows Server 2016, which delivers the latest security functions. With the release of ProSafe-RS R4.03.10, it enables a SIL2 wireless gas detection system for FGS. In conjunction with expertise in production control, safety instrumentation, field wireless engineering and consulting, Yokogawa offers the most efficient and timely approach to deliver end to end wireless solution. Wireless devices have a number of advantages such as allowing installation in difficult-to-access locations and the reduction of installation costs, and they are increasingly seen as essential elements in plant safety solutions. This is a particularly important consideration with gas detection systems, whose operation can be easily influenced by factors such as installation location and ambient conditions. Even after system installation, ongoing efforts to optimize its overall configuration may necessitate occasional changes in the location and number of detection devices. The use of wireless technology eliminates the need to worry about wiring and thus greatly facilitates the process of moving and/or installing additional detection devices. In response to the rising importance for FGS solutions, the release of ProSafe-RS R4.03.00 added features allow better operations, easier engineering and hardware reduction. By adding a new smart digital input/output (I/O) module and enabling the use of Ring Vnet/IP network topology, we are giving our customers best performance and cost efficiency Integrated Control and Safety Systems (ICSS) depending on their needs. Cybersecurity has also been strengthened together with latest operating system. Standard FGS HMI parts for gas, flame, smoke and heat detectors are added for better operations. Standard function blocks for FGS detectors are added for easier engineering. ProSafe-RS analog module can reset smoke and heat detectors alarms without additional hardware such as relays and DO modules. Smart digital I/O module has been added to N-IO lineup. Ring topology has been added to Vnet/IP. ProSafe-RS engineering station’s software security functions are improved. A new centralized management function can apply the same security settings to multiple monitoring and operation PCs. ProSafe-RS engineering station’s software supports Windows 10. With the release of ProSafe-RS R4.02, it enable users to accurately define and capture the functional requirements of any new or existing SIS application, providing added value throughout the safety life cycle. Users can also configure and adapt their overall FSM philosophy, processes and procedures within R4.02, encapsulating and improving their own functional safety environment in line with the guidelines of IEC61511. Allows the user to develop a CE matrix to describe the functional relationship between the input and the output variable and automatic generation of application to Function Block Diagram. Allow the user to combine simulation models and module components into a single framework for test and review. Allows the user to define the safety and project lifecycle phases, assign resource, plan activities, identify verification and functional assessment milestones and configure documentation. OpreX is the comprehensive brand for Yokogawa’s industrial automation (IA) and control business. The OpreX name stands for excellence in the technologies and solutions that Yokogawa cultivates through the co-creation of value with its customers, and encompasses the entire range of Yokogawa’s IA products, services, and solutions. This brand comprises the following five categories: OpreX Transformation, OpreX Control, OpreX Measurement, OpreX Execution, and OpreX Lifecycle. 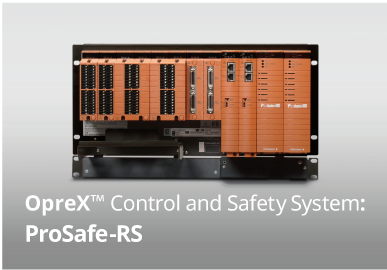 One of the product groups that make up the OpreX Control category is the OpreX Control and Safety System family, which includes the ProSafe-RS. 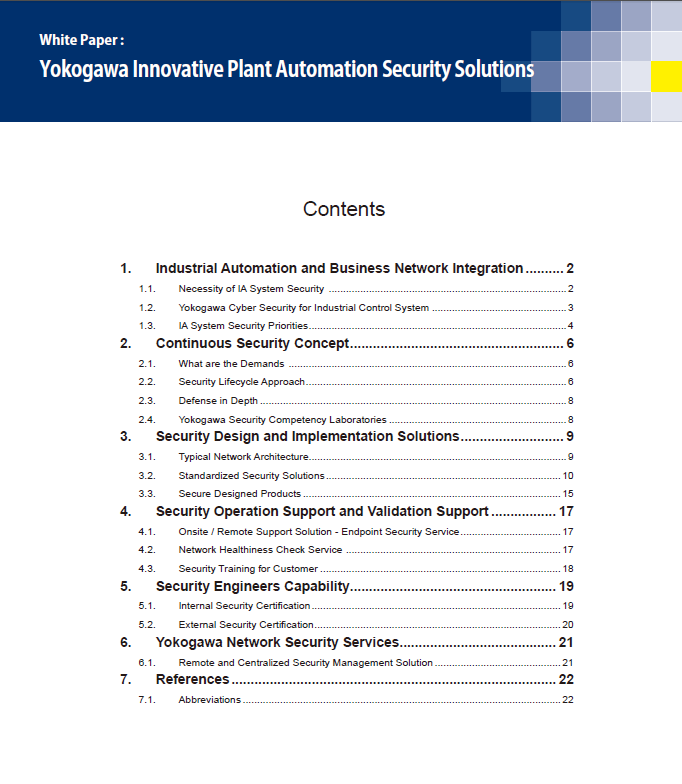 With its various OpreX Control solutions, Yokogawa is able to quickly effect changes for its customers that lead to a transformation in such areas as management and operations, and provides highly reliable control technology that ensures high efficiency, high quality, and safe and stable plant operations. With the OpreX brand, Yokogawa will deliver integrated solutions that address specific needs and support its customers in their efforts to transform and grow their businesses. 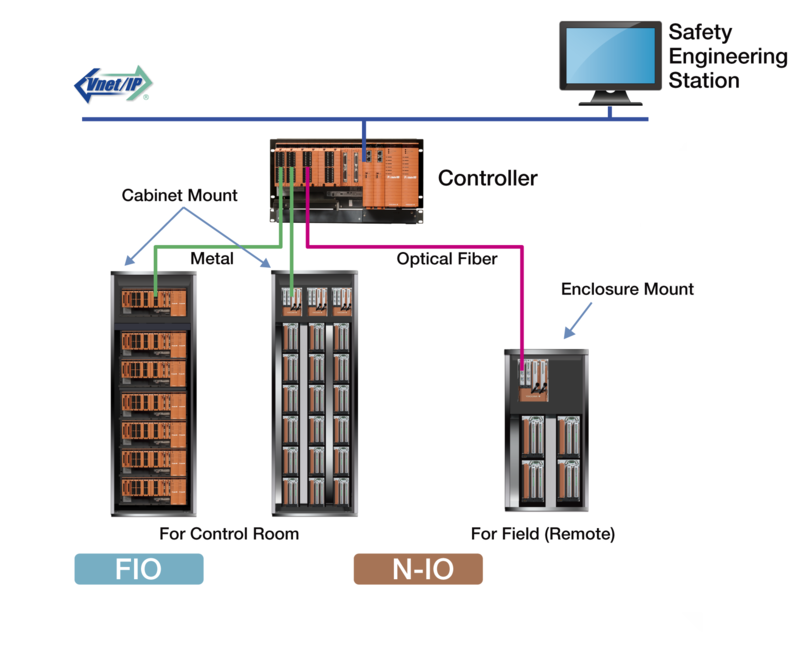 ProSafe-RS is composed of the Safety Engineering PC (SENG) equipped with engineering and maintenance functions, the Safety Control Station (SCS) for safety control and Vnet/IP for control network to communicate with each of those equipment. ProSafe-RS can be integrated with the CENTUM VP. The SCS can be operated and monitored by the HIS (Human Interface Station) of the CENTUM VP. It is also possible to connect to other DCSs and PLCs via subsystem communication (Modbus communication). HART communication on ProSafe-RS allows Plant Resource Manager (PRM) to manage the HART communication devices connected to I/O modules on SCS. Also, the AO signal allows PRM client to conduct Partial Stroke Test (PST) on HART-supported valve positioner equipped with the PST function. Seamless architecture achieves true integration of DCS and SIS, contributing to plant optimization. ProSafe-RS is SIL3 certified in a single module configuration. Redundancy is already built-in to each ultra-compact input, output, and processor card. This intrinsically simple modularity makes it possible to design systems with ease. If additional system availability is required, users can add redundancy on a function by function basis by simply plugging in the appropriate module. Application engineering and hardware engineering can progress independently and parallel. This parallel work shortens the project schedule, either by starting later or by possibly enabling an earlier start-up. Starting up a plant more quickly has long been an issue that directly affects customers’ profits. Although the start-up of instruments and the installation of I/O modules can be performed in parallel, the loop check is completed only after the FAT (Factory Acceptance Test) is finished and the controller and the engineering environment are installed. In Yokogawa’s parallel engineering, there is no need to wait for the controller and engineering environment to be completed. The integrity of loops can be checked only with N-IO modules and FieldMate Validator. If any change is found in the I/O definition information, it can be corrected on the spot, and the corrected definition can then be refiected in the master information in the plant. The I/O definition often needs to be changed due to physical constraints. Such problems usually occur during commissioning and may prolong the project schedule, as well as require costly re-wiring. The I/O definition of N-IO modules can be changed more fiexibly. Signal types among DI/DO/AI/AO can be switched only with software, and there is no need to change I/O modules. 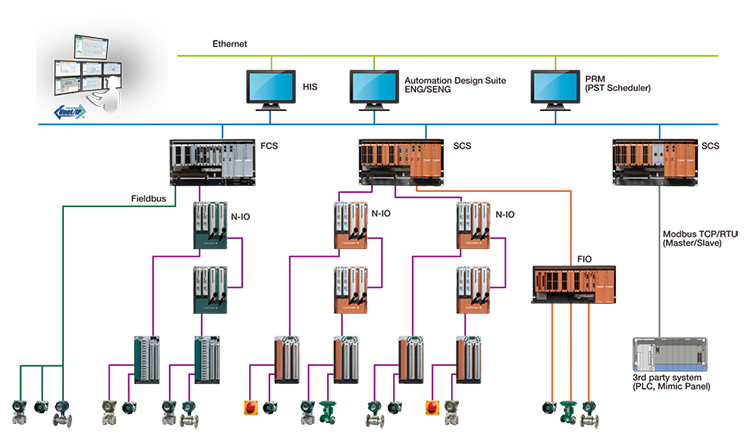 Since signal types can be designated at each channel, there is no need to stock I/O modules for each signal type, reducing maintenance costs. ProSafe-RS R4 features AD Suite, the same engineering environment used with the CENTUM VP integrated control system, allowing the integrated management of CENTUM VP and ProSafe-RS data. With this feature, ProSafe-RS engineers can use AD Suite to design the I/O. AD Suite also has functions for managing the change history and recording changes that save time when renovating systems. This function is realized by combining Automation Design Suite (AD Suite) of the ProSafe-RS and iDefine for ProSafe-RS (developed by Trinity Integrated Systems). It provides support to the management of functional safety, advanced application logic generation and advanced test functions. For ESD and FGS application, the relationship of input and output variables can be defined in the Cause & Effect (C&E) Module which can be automatically generates into format of IEC 61131 Function Block Diagram(FBD). For BMS application, the State Analysis (SA) module can be used to develop state chart style models to describe the detailed behavior of the application. FBD can also be generated automatically based on the State Analysis Chart. The verification of partial or overall operations of the application can be performed by the Cause & Effect function or the State Analysis function, the specification can be validated step by step. The test function allows the user to test the application logic and automatically generate the test report by using test scripts. The test scripts can be used repeatedly until the application logic becomes error-free. The test results can be confirmed visually and in real time with the C&E and SA chart. Full history recording, event recording and playback enables further review and refinement. ProSafe-RS plugs directly onto the same network used by Yokogawa's field-proven CENTUM VP. No gateway or interface hardware is required for data exchange between SIS and DCS functions. Safety communication between SIS controllers is realized and certified in a mixed DCS - SIS configuration. No more separate monitoring of SIS and DCS. While continuing to use the interface that they are most familiar with, operators can more rapidly predict which process conditions are likely to reach emergency levels. Sample screens such as "faceplate" style instrument and alarm displays are provided that enable easy data comparison and decision making. A further benefit of data integration is the ability to analyze events preceding an alarm - a powerful tool for effective process safety management. It's now easy to create displays that integrate DCS and SIS data. In addition to conventional I/O modules dedicated for specific signal types (FIO module), ProSafe-RS R4 can offer the N-IO module, which handles different signal types at each channel. By concurrently accepting both types of module, ProSafe-RS R4 can deal more flexibly with a customer’s plant design requirements. DI/DO/AI/AO signals can be handled at a single module. The types of I/O signal at each channel can be changed with software. Remote installation up to 50 km is available by using optical cables. SIL3 can be achieved with single configuration. Redundant configuration is also selectable. Terminal block has a disconnect function of signal loop of field devices as a standard function. An N-IO baseplate is available for intrinsically safe barriers. N-IO eliminates the need for marshalling cabinets, further saving space and costs. Thus this is ideal for flexible and distributed installation in the field. A variety of I/O modules (AI/AO/DI/DO/Communication function) are available. Modbus TCP/RTU communication (Master/Slave) is available by using communication modules. Dedicated terminal boards, terminal blocks, and cables for FIO are supported. Yokogawa designers have employed state-of-the-art electronic design techniques and component packaging to miniaturize the safety controller circuitry. Every ProSafe-RS processor, input module, and output module features a dual architecture, providing users with SIL3-level protection on a single card. This architecture is simplicity itself to understand, design, install and maintain. Complete safeguarding now comes in one box. Furthermore, the design has an extremely high diagnostic coverage factor of more than 99%, providing users with a means of rapid fault detection that can allow repairs to be effected within an acceptable period - with minimal impact on the process. If even higher system availability and fault tolerance is required, ProSafe-RS can be configured for dual redundancy while maintaining SIL3 by simply plugging in the appropriate additional card. Because the I/O or processing functions of ProSafe-RS have a modularity that extends down to the function level, redundancy can be applied exactly where it is needed - to input, output, or processor modules - providing a combination of safety and economy that is unprecedented in the SIS market. This flexibility allows any mix of dual redundancy to be configured such as a single input and redundant output or a redundant input and single output. With its flexible selection of redundant CPU and I/O modules, ProSafe-RS delivers the high availability required by even SIL3 applications. Rather than making selections at the system or rack level, you can apply redundancy exactly where it is needed - in specific input, output or processor modules - depending on such factors as the required SIL for a loop or the reliability of field devices.This is possible because the I/O and processing functions of ProSafe-RS have a modularity that extends down to the function level. Even when an internal failure occurs, safety functionality is maintained, reducing the likelihood of a false trip in a process. We call this flexible plug-in availability “VMR / Versatile Modular Redundancy™". Under normal conditions, valves that are integrated with a safety instrumented system (SIS) are not activated. (They are only actuated when the SIS initiates a process shutdown after an abnormality is detected in a process.) It is therefore necessary to periodically test valves to ensure that they are in good working order and will respond properly when needed. This periodic check is called a “proof test,” and generally it involves a full stroke test (completely closing the valves). When a plant is up and running, the costly installation of a bypass is necessary to conduct a proof test. If this is not possible, the only other option for conducting this test is to shut down the plant. As a consequence, proof tests of the valves are usually conducted only once every several years. An alternative to the full stroke test is the partial stroke test (PST), which involves slightly closing a valve to diagnose problems. A PST can be conducted without stopping a process, and it can be performed remotely from locations such as a control room. By conducting a PST, plant owners can significantly reduce their maintenance costs. And by checking the valves more frequently than is possible with the full stroke test, they can anticipate great benefits such as increased reliability . Note: although the PST does not eliminate the need for a full stroke test, it makes it possible to extend the proof test interval without sacrificing the required safety level. ProSafe-RS system hardware conforms to the standards listed below. Please use the ProSafe-RS system in the industrial environment only. Difficulty in continuing to maintain your legacy system due to higher costs of maintenance, deteriorating performance, unavailable of spares parts (SIS and PC), uncertain documentation and compliance issues. Yokogawa provides latest SIS and engineering services to migrate/replace your existing system. Depending on your site situation and migration window, Yokogawa ProSafe-RS offers two options of IO system namely F-IO (conventional IO) and N-IO (smart configurable IO) to allow smooth and low risk migration..
Yokogawa offers services to reverse documentation and application of your legacy system. Validation can be done offline in advance with subject matter experts (Operator, Process Engineer, Maintenance Engineer) and leads to high level of confidence of the conversion. Finally, the validated documents can be imported to ProSafe-RS for application generation. 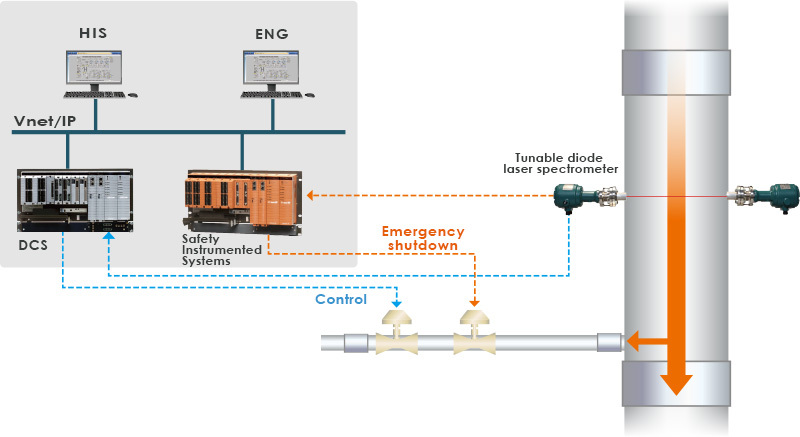 Yokogawa is now offering a service that will allow you to migrate from the well proven ProSafe-PLC platform to our latest safety instrumented system, ProSafe-RS. ProSafe-RS uses a faster CPU and is seamlessly integrated with the CENTUM DCS, greatly improving performance and eliminating the need for a dedicated DCS gateway. 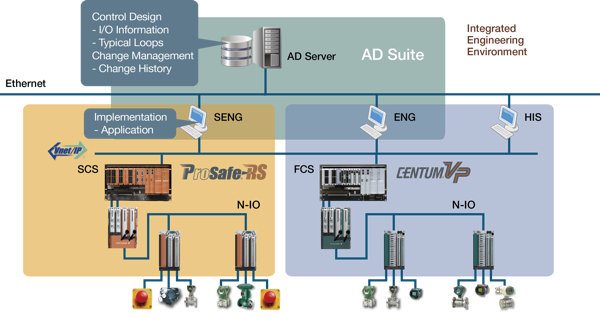 ProSafe-RS provides complete integration with the operation and monitoring functions of the CENTUM DCS. 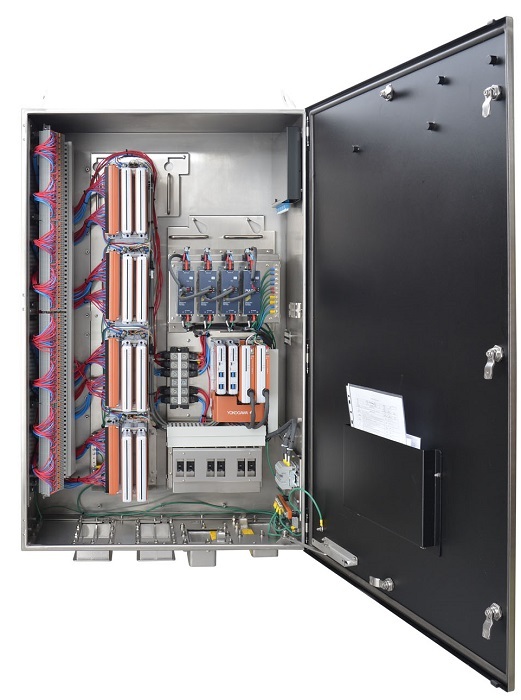 This is a complete replacement of the entire ProSafe-PLC system, including control and I/O modules, terminal boards, and wiring, with all elements of the ProSafe-RS system. The compact terminal boards are a key element of this plan. The ProSafe-PLC control and I/O modules are replaced with ProSafe-RS control and I/O modules. 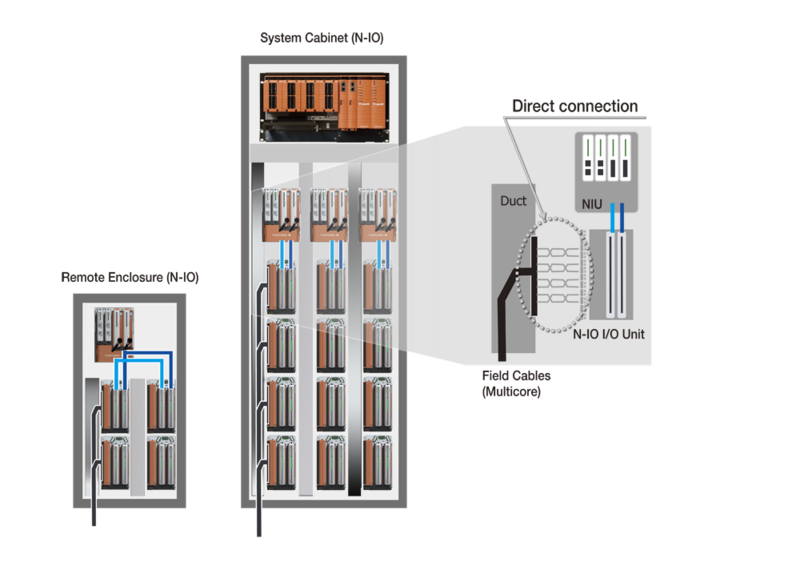 With this plan, the existing field wiring can be used because the modified system continues to use the ProSafe-PLC terminal boards. This plan is implemented with the migration adaptors and the related products. Launched in February 2005, Yokogawa's ProSafe-RS safety instrumented system (SIS) quickly gained a significant share of the market. Just 18 months later, 100 units had been sold-quite a feat considering the generally conservative nature of the SIS market. So what is behind this rapid success? A Yokogawa ProSafe-RS safety instrumented system (SIS) will be the nucleus of a new fire and gas safety system at Shell's Clyde (NSW) refinery. 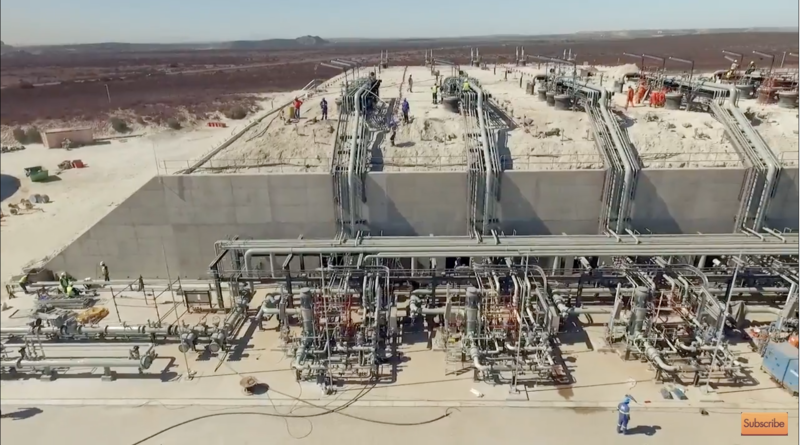 The contract includes the control system, system engineering and installation and supervision. 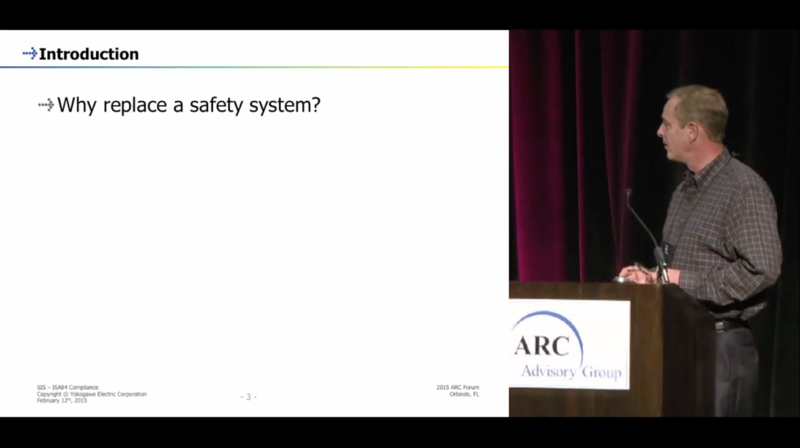 Process Control and Safety Systems: Separate, Interfaced, or Integrated? Yokogawa South Africa was appointed to design, supply and commission the Integrated Control and Safety System (ICSS) as well as the overall Terminal Management System at Sunrise Energy’s liquid petroleum gas (LPG) Import Terminal, the largest on- and offshore open-access LPG import terminal facility in Africa. 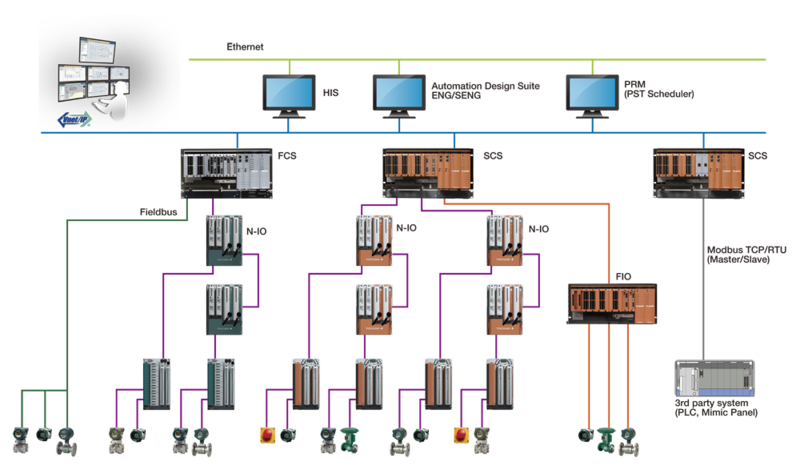 Yokogawa’s Terminal Management System, Terminal Logistic Suite VP (TLSVP), was designed and developed to meet the exacting operational demands and logistic needs in terminals. Yokogawa’s experienced engineering resources ensured the project was successfully delivered, enabling Sunrise Energy to provide accurate mass balances and efficient terminal operations to its customers.